SYDNEY — Several foreign consulates were evacuated in the Australian cities of Melbourne and Canberra on Wednesday after they received suspicious packages. Police, fire crews and ambulances were seen at a number of diplomatic offices in Melbourne, including those of India, Germany, Italy, Spain and South Korea. The government Vic Emergency website noted at least 10 “hazardous material” incidents in the city. The Australian Broadcasting Corp. reported suspicious packages were also found at the Melbourne consulates of the United States, Switzerland, Pakistan and New Zealand, and possibly those of Greece, France, and Hong Kong. It was not immediately known which countries’ diplomatic missions in the national capital, Canberra, were affected. 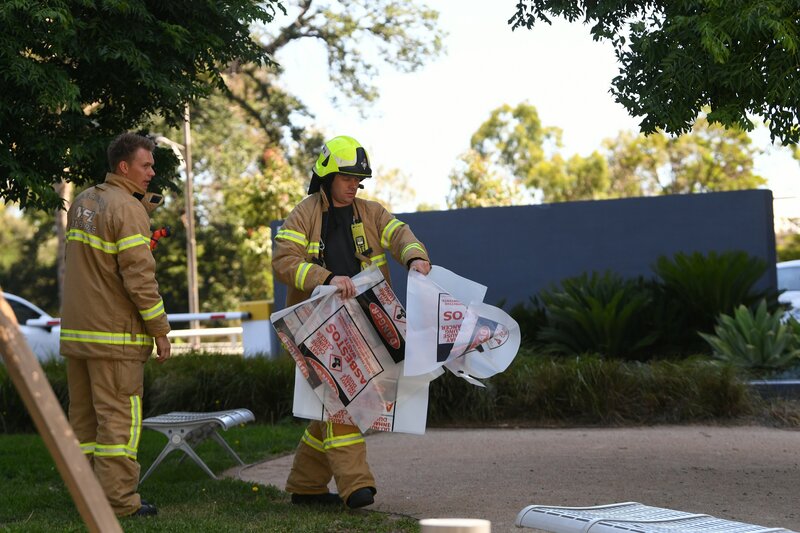 Two firetrucks, a hazardous materials vehicle and police cars were seen at India’s consulate in Melbourne, where staff members had been evacuated, some wearing protective masks. The incidents come after Sydney’s Argentinian consulate was partially evacuated on Monday after reports of a suspicious substance. The powder, contained in clear plastic bags within an envelope, was subsequently deemed not dangerous.